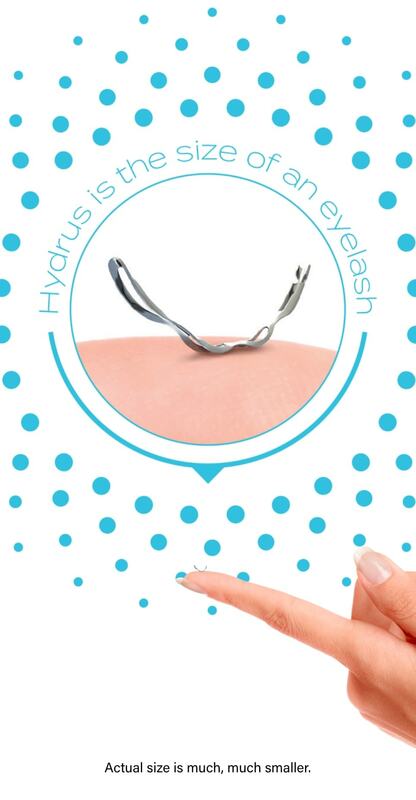 Roughly the size of an eyelash, the highly flexible Hydrus Microstent is placed by a doctor using microscopic incisions and advanced equipment. This less invasive approach allows for fewer complications and faster healing times than traditional glaucoma surgery. See how the Hydrus Microstent helps to reduce eye pressure. Reference: 1. Samuelson TW, Chang DF, Marquis R, et al; HORIZON Investigators. A Schlemm canal microstent for intraocular pressure reduction in primary open-angle glaucoma and cataract: The HORIZON Study. Ophthalmology. 2019;126:29-37.